Jerico, top left, with Grade 1 Drama School students at YPT. July 19, 2017 / YPT / Comments Off on Meet Jerico! 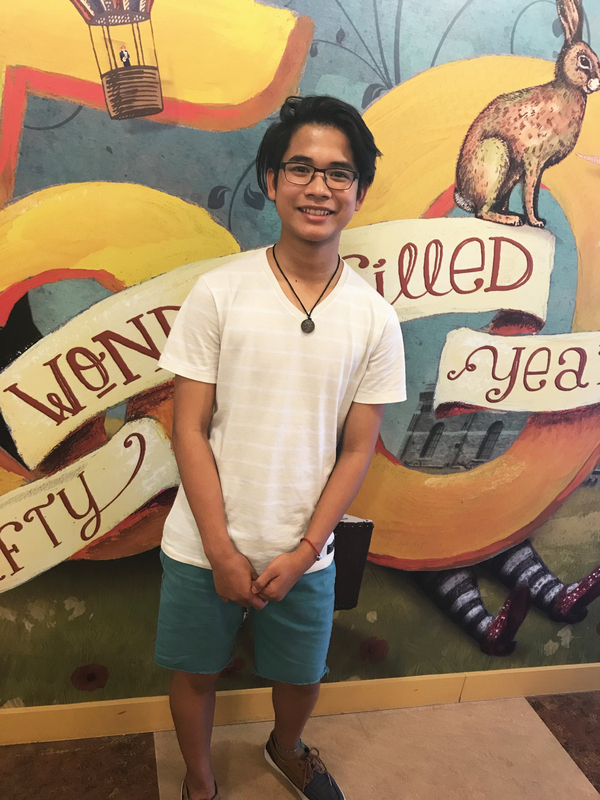 We are excited to be working with Jerico De Vera, a Grade 11 student from Brebeuf College School who is completing his co-op placement at YPT this summer. He will be assisting with the program delivery and administration of the Summer Drama Camp sessions, which focus on engaging participants through the active and collaborative process of creating theatre. YPT Community Volunteer Manager, Norah O’Donnell, sat down with Jerico and asked him a few questions. Jerico De Vera, a Grade 11 student from Brebeuf College School, is completing his co-op placement at YPT this summer. Tell us about yourself in a tweet. I love to act and I participate in a lot that involves acting. I like to make puns because it’s punny. Why were you interested in completing your placement here at YPT? I was interested in completing my placement here at YPT because I love the performing arts. Being a part of this field is truly an honour because I get to learn and get hands-on experience about performing and entertaining others through the incredible people at YPT. Also, working with children is truly amazing, because they have great imaginations and create interesting stories. What are you most excited about this summer? This summer I’m most excited about learning new games that will help me build my skills to follow my dream of being an actor. I am also looking forward to making new friends and amazing memories this summer. Other than school work, what keeps you busy? I can’t live without art because “EARTH without ART is just EH” (according to someone). I also couldn’t live without Wi-Fi, and, of course, food.